Does Stacey Dooley have a boyfriend? What are her best Investigates shows? Here's everything you need to know about Kevin Clifton's dance partner. Confirmation that Stacey Dooley was joining the Strictly Come Dancing line-up may have raised a few eyebrows, but the accomplished journalist and BBC Three documentary maker has been surprising everyone with her dance moves with Kevin Clifton. The 31-year-old presenter and journalist made her way to fame after fronting a documentary called Face to Face with Isis, and has gone on to produce a string of investigative documentaries such as Gypsy Kids Taken From Home and The Billion Pound Party. Now the Stacey – who is battling a worrying injury ahead of the Strictly live show – is happy swapping documentaries for the dance floor as she joins the likes of Faye Tozer and Ashley Roberts at the top of the leader board. Stacey Dooley is a British journalist who makes documentaries for BBC Three and her first ever telly job was on Blood, Sweat and T-shirts. She specialises in investigations and is flown out across the world to shed light on a number of issues, with some of her recent works seeing her travel to Japan, Canada and Iraq. Who is Stacey Dooley's boyfriend? Is she married? Stacey Dooley's partner is Sam Tux, the pair are often seen sharing intimate photos of each other on Instagram. Sam is a personal trainer, whom she claims is very "patient and understanding." Stacey has over 150K followers on her Instagram @sjdooley, where she shares fun-filled photos of her everyday life and pictures of her fashionable outfits. 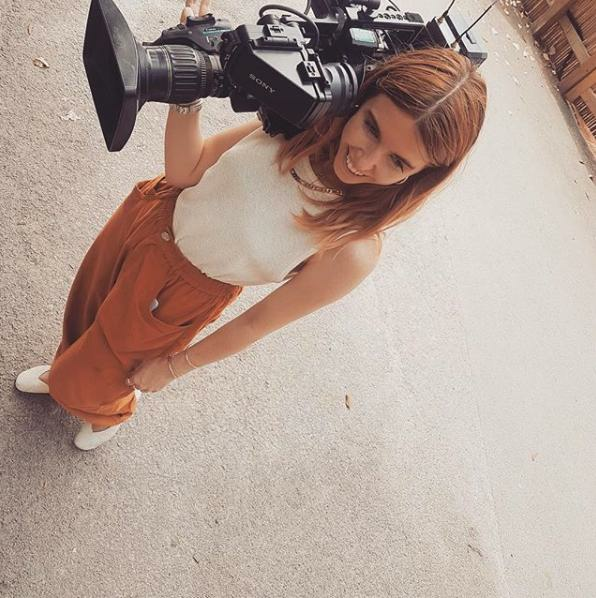 What documentaries has Stacey Dooley made? Stacey was given her own show, Stacey Dooley Investigates, in 2011 - and it's still going strong. She uncovered the new trend of teens using emojis to deal Class A drugs on Snapchat and in another BBC investigation she shed light on how the sexualisation of young girls is widespread in Japan.